Irrfan Khan's Blackmail Emerges As A Sleeper Hit At The Box Office! Home BOLLYWOOD Irrfan Khan’s Blackmail Emerges As A Sleeper Hit At The Box Office! 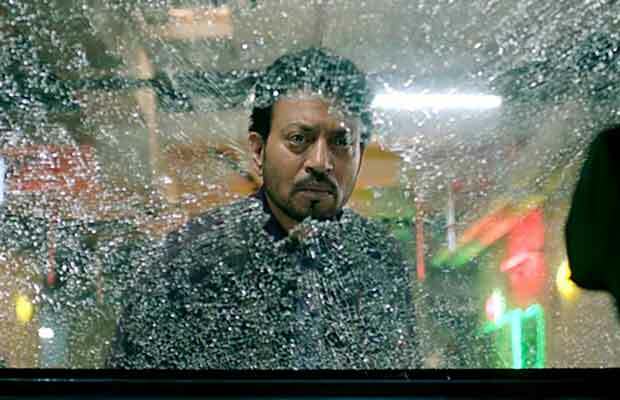 Irrfan Khan’s Blackmail Emerges As A Sleeper Hit At The Box Office! Bhushan Kumar and Abhinay Deo’s Blackmail starring Irrfan has opened to a warm reception by the audience collecting a total of 11.22 crores over the first weekend. The quirky comedy Blackmail received praises from critics, Bollywood biggies as well as the audience, being touted as one of the best dark comedies in the recent time. The intriguing storyline and brilliant performances pleased the viewers across quarters making the unusual and conventional film a hit. ‘Blackmail’ opened on a positive note recording a fantastic number for a dark comedy in recent times. Collecting 2.81 crores on Friday, Blackmail showcased a growth on Saturday collecting 3.85 crores and 4.56 crores on Sunday, taking the total collection to 11.22 crores. Apart from that, Blackmail has already recovered its cost of production and print and advertising from the satellite digital music and overseas collection.With the weekend collection, the quirky comedy has already emerged as a hit at the box office. While normally a man would opt for two options either kill his wife or kill his wife’s lover, Dev aka Irrfan decides to blackmail the wife’s lover. Portraying the unusual and complex role with ease, Irrfan has been receiving appreciation from all quarters.